For this talented pistolsmith, second-rate work is not an option. Actor Steven Seagal knows how to fight. His personal background in martial arts is obvious when you watch his action movies. 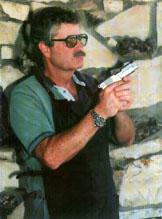 When it came time to choose a custom pistolsmith to craft the guns for his movies, Segal choose Terry Tussey. Seagal knows guns, too. In late ’59, Tussey worked at Martin B. Redding’s degreasing rifles and doing armory work. After a short while, he started to work the retail end and built a reputation as a knowl edgeable young fellow. 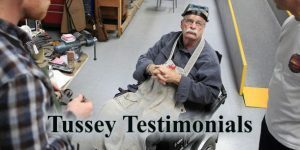 Tussey’s shop does full spectrum work, but “tactical” guns are their specialty. “I like a good looking gun that shoots straight and is stone reliable.” Tussey’s custom .45s, Colt .380s, HiPowers and revolvers are a pleasure to behold and deliver accuracy with predictable regularity. 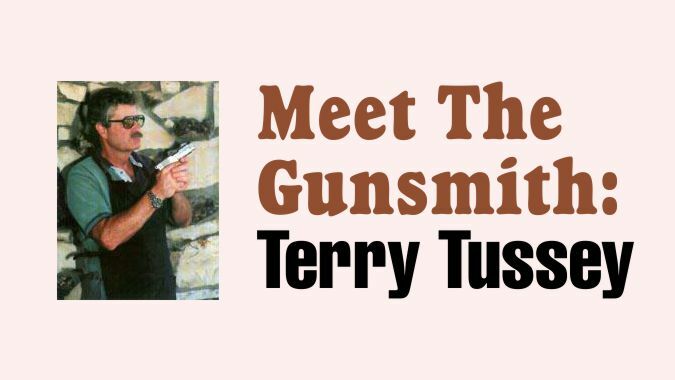 With the surge of interest in single column semiautos since the Brady law and the accompanying increase in the number of “custom” pistolsmiths around, I asked Tussey what a customer should look for in a smith.